IDLC finance Limited is a major NBFI who is playing vital role for SME financing in Bangladesh. SME plays a very important role in economic advancement of Bangladesh. As major business of IDLC Finance Limited is providing SME loan facilities to the business along with various types of loan to individual and organizations therefore risk is associated with each and every product they are offering. The trend of SME loan disbursement in context of IDLC Financing is highest at trading sector, followed by manufacturing sector and then service sector. The trend of the segment- wise disbursement is same for IDLC. IDLC distribute more than half of their SME portfolio in trading industry because collecting data in the trading sector is easily available and sales verification is simpler than other sectors. Nonperforming loans is common phenomena for banking industry in Bangladesh. A Nonperforming loan is a loan that is in default or close to being in default. Many loans become nonperforming after being in default for 90 days, but this can depend on the contract terms. In the financial arena, enterprise risks can be broadly categorized as Credit Risk, Operational Risk, Market Risk and Other risk. Credit risk is the possibility that a borrower or counter party will fail to meet agreed obligations. Thus managing credit risk for efficient management of a FI has gradually become the most crucial task. IDLC finance has its own process to mitigate credit risk. They make an appraisal report which shows the strength of the borrower and possible risk related to the loan how the risk can be mitigate. Small & Medium Enterprise (SME) plays a pivotal role in the economic growth and development of a country. Actually, SME works as the platform for job creation, income generation, and development of forward and backward industrial linkages and fulfillment of local social needs. SMEs occupy a unique position in the economy of Bangladesh. Mainly private sector development depends on them. What is the most important segment for SME business in Bangladesh? In which sector does a financial institution provide more loans? Studying the financial concepts of real company. Evaluating real life business & traditional management methods. The research is basically an exploratory one as it mainly explores the SME financing in and out’s of Bangladesh from a financier’s perspective. The research has been conducted from the Perspective of IDLC Finance Ltd., the largest non-banking financial institute in Bangladesh. Besides, a comparative study in brief format has been given regarding their practices in the same market segment. The primary data for the study was collected from the IDLC’s database (Internal Records). IDLC’s in-house banking software, (Icons Integrated Software Application for Finance) IISAF and (Electronic Data Management System) EDMS, contain every bits and pieces of information under SME lending. Some other background information of IDLC Financing Limited was collected from website, PDF files and brochures of IDLC Financing Limited and from other sources. Also, some particular information was gathered from some journals from our university library and of course the internet. IDLC was initially established in Bangladesh in 1985 through the collaboration of International Finance Corporation (IFC) of the World Bank, German Investment and Development Company (DEG), Kookmin Bank and Korean Development Leasing Corporation of South Korea, the Aga Khan Fund for Economic Development, the City Bank Limited, IPDC of Bangladesh Limited, and Sadharan Bima Corporation. As the company evolved, initial foreign shareholding of 49% was gradually withdrawn and the last foreign shareholding was bought out by local sponsors in 2009. Over the years, IDLC has attained a significant presence in the corporate sector of Bangladesh. IDLC is highly respected by our clients, peers, employees and regulators for our strong corporate governance, statutory compliance, high ethical standards, a progressive and enabling working environment, and strong commitment to environmental and social development. IDLC continues to play a pioneering role in introducing and popularizing a variety of financial instruments suiting ever-changing requirements of its fast-growing clients. The organization is continuously expanding the presence to ensure the best quality of service to our clients at all times. Although IDLC initially started with Lease Financing as their core product, IDLC has grown to become the largest multi-product Non-Bank Financial Institution of Bangladesh, with almost equal focus in Corporate, Retail and SME sectors. Moreover, IDLC has a significant presence in the Capital Markets. Our merchant banking arm, IDLC Investments Limited, a wholly-owned subsidiary of IDLC is a premier brand for investment banking in the country. Our stock brokerage arm, IDLC Securities Limited, another wholly-owned subsidiary of IDLC is also amongst the top five brokers in the country. May 23, 1985: Incorporation of the company. February 22, 1986: Commencement of leasing Business. May 18, 1986: Signing of first lease. October 01, 1990: Establishment of branch in Chittagong. March 20, 1993: Listing in Dhaka Stock Exchange. September 10, 1994: Licensed by Bangladesh Bank for Deposit Collection. February 07, 1995: Licensed as non-banking financial institution. Under Financial Institution Act-1993 of Bangladesh Bank. July 02, 1995: Licensed by Bangladesh Bank as offshore financier in Export processing zones (EPZ). November 25, 1996: Listing in Chittagong stock exchange. May 27, 1997: Commencement of House Finance and Short term Finance operations. January 22, 1998: Licensed as Merchant Banker by Securities and Exchange Commission. January 15, 1999: Commencement of Corporate financing and Merchant Banking Operation. December 05, 2000: Exceeded Taka 1 billion mark of annual lease execution. May 22, 2002: Arranged the largest ever lease syndication amounting Taka 950 million by the corporate Finance Unit. January 29, 2004: Opening of the first retail focused branch at Dhanmondi. June 29, 2004: Opening of Gulshan branch. November 22, 2004: Launching of Investment Management Services “Cap Invest”. February 7, 2005: Issuance of First Securitized Zero Coupon Bonds by IDLC Securitization Trust 2005. September 18, 2005: Launching of Local Enterprise Investment Center (LEIC), a center established for the development of SMEs with the contribution of the Canadian International Development Agency (CIDA) of the Government of Canada. January 2, 2005: Opening of SME focused branch at Bogra. April 6, 2006: Opening of branch at Uttara. May 18, 2006: Opening of Merchant Banking branch in the port city Chittagong. IDLC is the largest financial institution (non-banking) and one of the leading investment and merchant banks of Bangladesh. IDLC offers a wide array of financial solutions to both corporate and retail customers. IDLC has the largest multi-product Non-Bank Financial Institution of Bangladesh; with almost equal focus in Corporate, Consumer, SME sectors and Capital Market. IDLC has emerged as a pioneering multi-product NBFI in Bangladesh with 26 branches and over 642 team members. Particularly, as IDLC transformed the Company from the year ago period, the organization recorded a respectable 32% growth in term deposits and 26% growth in advances, kept our NPL (non-performing loans) tightly under control to 1.63% of the overall advances (2.09% NPL in 2012) and, most importantly, built on our market-leading capabilities to serve our clients’ and customers’ core financial services needs, hence reporting a healthy 15% growth in our operating income to BDT 2,763 million, up 28% from the year ago period. Moreover, IDLC tightened our cost structures in our bid to create a culture of ‘more and more from less and less’ with the result that our operating profit increased 13% to BDT 1,518 million, a significant achievement in a challenging economic scenario. As a prudent and conservative financial measure, IDLC also made provisions to the extent of BDT 1,044 million in our consolidated Balance Sheet. Being the best financial brand in the country. Focusing on quality growth, superior customer experience and sustainable business practices. For the Company: Relentless pursuit of customer satisfaction through delivery of top quality services. In August 2015, IDLC disbursed more than BDT 618 million in SME loans distribution. Almost, out of the total SME loans disbursed more than BDT 274.63 million or 44% was lent to the trading sector, followed by the service sector which received 36% or 221.6 million and BDT 122.2 million or 20% of the total amount was lent to the manufacturing sector. In September 2015, IDLC disbursed more than BDT 674 million in SME loans distribution. Nearly, out of the total SME loans disbursed more than BDT 404.9 million or 60% was lent to the trading sector, followed by the manufacturing sector which received 21% or 139.85 million and BDT 129.55 million or 19% of the total amount was lent to the service sector. In October 2015, IDLC disbursed more than BDT 961 million in SME loans distribution. Just about BDT 436.25 million or 45% out of the total SME loans disbursed was lent to the trading sector, afterward was the manufacturing sector which received 33% or 315.55 million and BDT 209.45 million or 22% of the total amount was lent to the service sector. In trading sector sales verification are too easy than other sector. In trading sector NBFI can easily get the actual sales volume as well as the money they earned from the sales. Information availability is an important issue for giving loan. In trading sector all the information’s are easily available to understand about prepared clients current status which NBFI cannot do when they giving loan in other sectors the information are not easily available. In Bangladesh service sectors are not established yet and manufacturing sector is too risky this indicates after giving loan in manufacturing sector the client may become a default client if something happen wrong. At the same time trading sector is less risky. For that reason IDLC Finance Limited invest in trading sector most. In August 2015, IDLC disbursed more than BDT 618 million in SME loans distribution. Approximately, the highest amount was lent to the Housing & Real Estate sector which was 28.36% or BDT 175.4 million; subsequently Food & Beverage sector received the second highest amount of BDT 82.384 million or 13.32% and the third highest amount went to Home Appliances and House Hold Items which was BDT 65.05 million or 10.52% of the total amount of SME loans in August. In September 2015, IDLC disbursed more than BDT 674 million in SME loans distribution. Roughly, the highest amount was lent to the Housing & Real Estate sector which was 16.96% or BDT 114.35 million; after that Food & Beverage sector received the second highest amount of BDT 66.55 million or 9.87% and the third highest amount went to Textile (export and local) sector which was BDT 65.2 million or 9.67% of the total amount of SME loans in September. In October 2015, IDLC disbursed more than BDT 961 million in SME loans distribution. Approximately, the highest amount was lent to the Food & Beverage sector which was 23.82% or BDT 229 million; after that Housing & Real Estate sector received the second highest amount of BDT 157.1 million or 16.34% and the third highest amount went to Apparels & Accessories sector which was BDT 102.5 million or 10.66% of the total amount of SME loans in October. A non performing loan is a loan that is in default or close to being default. Many loans become non-performing after being in default for 90 days, but this can depend on the contact terms. Loans which have been placed on new accrual. Sometimes financial institution gives loan that company who has no good performance by the influence of politician. After giving loan the company defaults and thus political influence become one of the major reasons of loan default. Monitoring is of the most important pars for financial institutions. If proper monitoring happen institution will understand the client used those finance used for desired purpose or not. Bank sanction loan on the basis of feasibility of the project, but sometimes the financial amount used for more than one purposes. NBFI only know the desired purpose from which cash flow will generate for the pay the loan. If credit used in several purposes from which cash flow did not come and leads toward loan default. There are NBFI needs to monitor activities of the borrowers whether the fund is properly used in cash flow generating purpose or desired purpose or not. Otherwise, loan will default must. Lock of taking proper action is one of the leading problems of loan default. It lender misses one installment the relationship officer meet with the lender and suggest him how he generate more cash flow and what will happen after the loan default. In our country after loan default proper action does not against lender which encourage. Political instability is one of the reasons behind loan default. It hampers the ongoing activities of business and also hampers the production throughout the whole country. Political instability creates loan default, because that time business is not going well to generate cash flow and leads to loan default. NBFI need to look into the management capabilities of a company. Before sanctioning every loan bank need to looks into that few the management of the company is. It NBFI thinks that management is good enough to run the business successfully, they need to provide loan otherwise not, but NBFI need not monitoring the management capabilities which creates loan default most of the times. Non attractive industry acts as main reason of loan default. Companies operating in new attractive industries have higher probability of defaulting loan, because of poor performance generating poor cash flow which is enough to default loan. Frequent Policy Changed by government impact on sales, distribution and also in revenue. Government increase tax and some products which are imported tram outside which hampers to get expected revenue. It is true that GDP growth of entire economy has impact on consumer products. If GDP growth is low, it will hamper companies which deal with consumer Products. For these sales become low and it creates such situation those lenders unable to repay the loan. It is true that if one Company’s financial performance is not good, that company is unable to repay the loan. Sometimes financial performance is low but client has good relation with BNFI and for that reason they provide loan which creates loan default. In our country proper action are not taken for loan default. For that reason it creates unwillingness to pay loan though the business man well. It is the major reason of loan default. This section details about IDLC Finance Ltd mitigating risk factors from defaulting loan. It is the overall responsibility of credit risk management. Credit risk management encompasses identification, measurement, matching mitigations, monitoring and control of credit risk exposures. Detailed and formalized credit evolution/appraisal process. Risk identification, measurement, monitoring, and control. Define risk acceptance criteria, credit approval authority and guidelines for portfolio management. Credit risk strategy is work to determine the risk related the credit. After determining they could calculate the optimize return from that credit. Credit risk management establishes the objectives guideline for credit granting and adopts necessary policies or producers for conducting such activities. The strategy includes a statement of the IDLC’s willingness to grant facilities based on the type of economic activity, geographical location, maturity, anticipated profitability. This strategy also contains how they mitigating the credit risks. 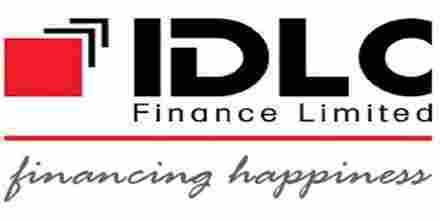 A lending guideline is made by IDLC Finance Ltd. This is approved by the managing director and board of directors on the based on the endorsement of the head of credit risk management and head of business units. An important element of credit risk management is to establish exposure limits for single obligors and group of connected obligors. FIs are expected to develop their own limit structure while remaining within the exposure limits set by Bangladesh Bank. The size of the limits should be based on the credit strength of the obligor, genuine requirement of credit, economic conditions and the institution’s risk tolerance. Appropriate limits should be set for respective products and activities. FIs may establish limits for a specific industry, economic sector or geographic regions to avoid concentration risk. The type of facilities that are permitted should be clearly indicated, such as Lease, Term Loan, Home Loan, and Working Capital etc. The Lending Guidelines should clearly identify the business/industry sectors that should constitute the majority of the FI’s facility portfolio. For each sector, a clear indication of the FI’s appetite for growth should be indicated (as an example, Textiles: Grow, Cement: Maintain, Construction: Shrink). This will provide necessary direction to the FI’s marketing staff. FIs should not grant facilities where the FI’s security position is inferior to that of any other financial institution. Valuations of property taken as security should be performed prior to facilities being granted. A recognized 3rd party professional valuation firm should be appointed to conduct valuations. A thorough credit and risk assessment should be conducted prior to the granting of a facility, and at least annually thereafter for all facilities. The results of this assessment should be presented in a Credit Application that originates from the relationship manager/account officer (“RM”), and is reviewed by Credit Risk Management (CRM) for identification and probable mitigation of risks. The RM should be the owner of the customer relationship, and must be held responsible to ensure the accuracy of the entire credit application submitted for approval. It is essential that RMs know their customers and conduct due diligence on new borrowers, principals, and guarantors to ensure such parties are in fact who they represent themselves to be. All FIs should have established Know Your Customer (KYC) and Money Laundering guidelines which should be adhered to at all times. Historical Financial Analysis. Preferably an analysis of a minimum of 3 years historical financial statements of the borrower should be presented. Where reliance is placed on a corporate guarantor, guarantor financial statements should also be analyzed. The analysis should address the quality and sustainability of earnings, cash flow and the strength of the borrower’s balance sheet. Specifically, cash flow, leverage and profitability must be analyzed. Credit Background. Credit application should clearly state the status of the borrower in the CIB (Credit Information Bureau) report. The application should also contain liability status with other Banks and FI’s and also should obtain their opinion of past credit behavior. Purpose of Credit. FIs have to make sure that the credit is used for the purpose it was borrowed. Where the obligor has utilized funds for purposes not shown in the original proposal, FIs should take steps to determine the implications on creditworthiness. In case of corporate facilities where borrower own group of companies such diligence becomes more important. FIs should classify such connected companies and conduct credit assessment on consolidated/group basis. Facility Structure. The amounts and tenors of financing proposed should be justified based on the projected repayment ability and facility purpose. Excessive tenor or amount relative to business needs increases the risk of fund diversion and may adversely impact the borrower’s repayment ability. Credit risk grading is an important tool for credit risk management as it helps the Financial Institutions to understand various dimensions of risk involved in different credit transactions. The aggregation of such grading across the borrowers, activities and the lines of business can provide better assessment of the quality of credit portfolio of a FI. The credit risk grading system is vital to take decisions both at the pre- sanction stage as well as post-sanction stage. At the pre-sanction stage, credit grading helps the sanctioning authority to decide whether to lend or not to lend, what should be the lending price, what should be the extent of exposure, what should be the appropriate credit facility, what are the various facilities, what are the various risk mitigation tools to put a cap on the risk level. Loan Application Form duly signed by the customer. Loan Application From should be accompanied by a ‘Borrower’s Basic Fact Sheet’ under the seal and signature of the borrower. A written declaration shall be obtained from the borrower divulging details of various facilities already obtained from other institutions. Photographs of the proprietor /partners /directors duly at tested. Personal net worth statement of the proprietor /partners / directors. Short description of the products of the enterprise. Project Profile (if new project). Quotation/Intent / Pro-forma Invoice etc (as applicable). Marketing distribution system of the company. Short profile of the proprietor / partners / directors mentioning their business experience/education etc. Brief description of the management of the company mentioning their educational & professional experiences. Name and address of the sister/allied concerns. Wherever practical, insurance policy for 110% of the stock value covering potential risks with bank’s mortgage clause in joint name of the bank and client. Copy of financial statements for last 03 years for analysis and record is required. However, financial statements singed by the borrower will suffice where the exposure is fully secured by liquid assets. Copy of Registered Partnership Deed duly certified as true copy or a Partnership Deed on non-judicial stamp of TK. 150 denomination duly notarized. Copy of financial statements for last 03 years, for analysis and record. However, financial statements singed by the borrower will suffice where the exposure is fully secured by liquid assets. Copy of Memorandum & Articles of Association of the company including Certificate of Incorporation duly certified by Registrar Joint Stock Companies (RJSC) and attested by the Managing Director accompanied by an up-to-date list of Directors. Copy of Board Resolution of the company for availing credit facilities and authorizing Managing Director / Chairman / Director for execution of documents and operation of the accounts. An Undertaking not to change the management of the company and the memorandum and articles of the company without prior permission of thebank. Copy of financial statements for last 03 years for analysis and record. However, financial statements singed by the borrower will suffice where the exposure is fully secured by liquid assets. Personal Guarantee of all the Directors including the Chairman and Managing Director. Certificate of Registration of charges over the fixed and floating assets of the company duly issued by RJSC. Certificate of registration of amendment of charges over the fixed and floating assets of the company duly issued by RJSC in case of repeat loan or change in terms and condition of sanction advice regarding loan amount, securities etc. After the appraisal is done, the appraisal report is submitted to the Credit Evaluation Committee (CEC). The member of this committee is the management people of Credit Risk Management and General Manager. After their approval, it goes to Deputy Managing Director (DMD) and to Managing Director (MD). As a developing country, Bangladesh should invest more in export oriented manufacturing activities rather than the trading industry for better development of the country. More experienced personnel to eliminate the risk factors substantially and thus make a new ground for profitable investment. In terms of huge business opportunity and high recovery rate, the government, central banks should continue to ease the rules to take loans as SME sector is quite a promising sector for financial institutions to make the investment profitable. The amount of SME loans will increase if all the regulatory bodies’ services like registration of the enterprises, getting trade licenses, certificates of Bangladesh Standards and Testing Institution (BSTI), patents and trademarks are easily accessible. Financial Institutions should conduct sector wise research to know more about the business nature of different SMEs, construct specialize credit risk parameters to evaluate the credit friskiness of SME clients more properly and construct customize credit appraisal procedure for the SME client which will make the evaluation process faster and thus enable the Financial Institutions to deal with more SME Client. The trend of SME loan disbursement in context of IDLC Financing is highest at trading sector, followed by manufacturing sector and then service sector. The trend of the segment- wise disbursement is same for IDLC. The tendency of sectorial SME loan disbursement in IDLC is uppermost in Housing & Real Estate, Food & Beverage, Home Appliances and House Hold Items, and Apparels & Accessories. IDLC distribute more than half of their SME portfolio in trading industry because collecting data in the trading sector is easily available and sales verification is simpler than other sectors. The manufacturing industry receive less than trading as the sector is highly risky and is basically export oriented, even though, as a developing country manufacturing sector should highly emphasize in Bangladesh. While, the service industry receive the least amount from the SME portfolio since the sector is not that much established in our country. From the view point of SMEs’ importance to the overall economic growth and the opportunities that the financial institutions have in developing this segment, our central bank, other regulator as well as the policy makers should review the whole process in holistic approach as it is closely correlated with the economic emancipation of the general people of the country.